Rainbow Experiential and SKYY VODKA were launching a brand awareness campaign to their key supply chain, through a night on the town, hosted in Cape Town’s District Night Club, Johannesburg’s Taboo Night Club and Durban’s Club Azar. GlamCam was brought on board to create both a striking, engaging moment in the nightlife environment and a memorable, sharable moment for social platforms like Facebook and Twitter. SKYY VODKA as a brand presents itself perfectly, to something glamorous and star studded, GlamCam created a green screen experience which gave guests the opportunity to choose a desirable destination from a selection of the worlds most glamourous locations. 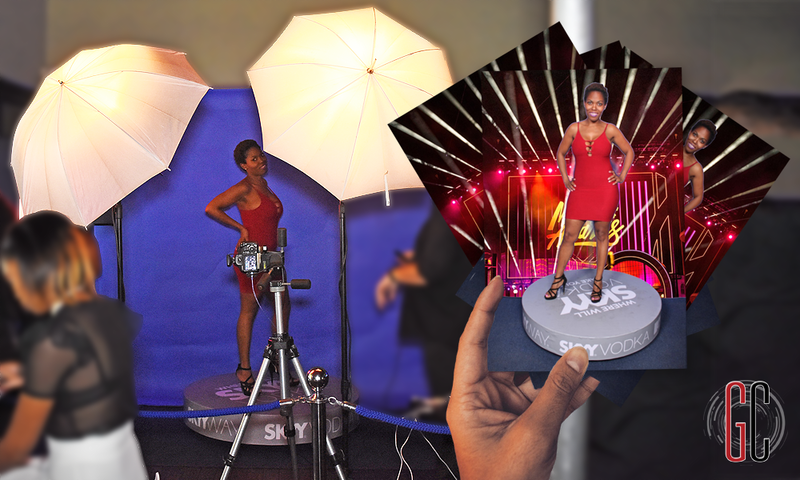 Guests then hopped on our 360 degree rotating platform – Glam-360-Cam and prepared to be transported! The moment captured all the style and poise of the glamourous SKYY VODKA clientele. These experiences were shared far a wide with much laughter and delight. Proving once again that FOMO is a real thing!